Are you interested in bringing DISC to your organization? 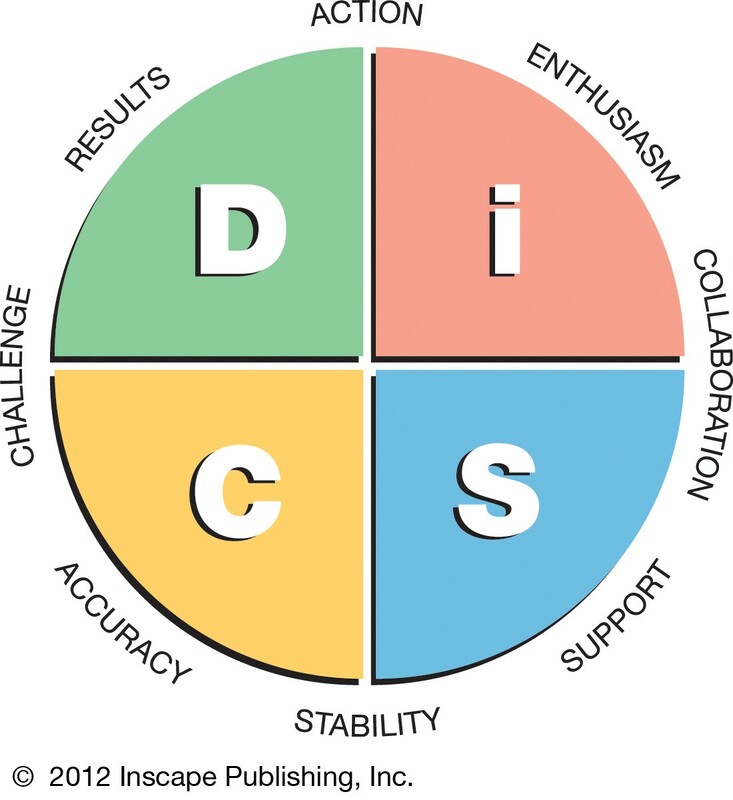 While we deliver hundreds of DISC Training every year, we can also equip your internal resources to facilitate DISC and use this tool to develop high performers, strengthen teams, and improve communication throughout your organization. We have a turn-key solution to quickly getting your facilitators up to speed and using this great assessment as a powerful tool. With over 30 years of proven reliability and millions of users worldwide, DiSC®remains one of the most trusted learning instruments in the industry. It is used internationally in more than 70 countries in dozens of training and coaching applications, including organizational development, performance improvement and management/leadership development. And now with the Everything DiSC® facilitation kit you can bring this powerful model to your organization using your own internal talent to deliver the workshops. Everything DiSC Workplace® can be used with everyone in your organization, regardless of title or role, to improve the quality of the workplace. Everything DiSC Sales® shows participants how to read and adapt to the styles of their customers to connect better — and close more sales. Everything DiSC Management® teaches managers how to read the styles of the people they manage and bring out the best in each employee. Each kit comes with everything you need to deliver a successful workshop: a modular, fully-scripted leader’s guide with dynamic learning activities, PowerPoint files with engaging embedded video, and participant handouts and templates (easily customizable in MS Word). The Everything DiSC facilitation kit of your choice. To decide which kit fits your needs and see sample facilitation materials from each, visit demo.everythingdisc.com. An online account to deliver the DiSC profiles to your employees. The individual reports are generated through your own personalized EPIC account. A full-day train-the-trainer program. An expert facilitator from our team will lead a one day train-the-trainer workshop with up to four people in your company. We will work with you to set the final agenda to ensure that it meets your specific needs. Of course we can also tailor the train-the-trainer program to fit your needs if you want more time to practice, assistance with customization for an existing program, or need to work with more than one DiSC profile/topic. Contact us to explore the options that work best for you.